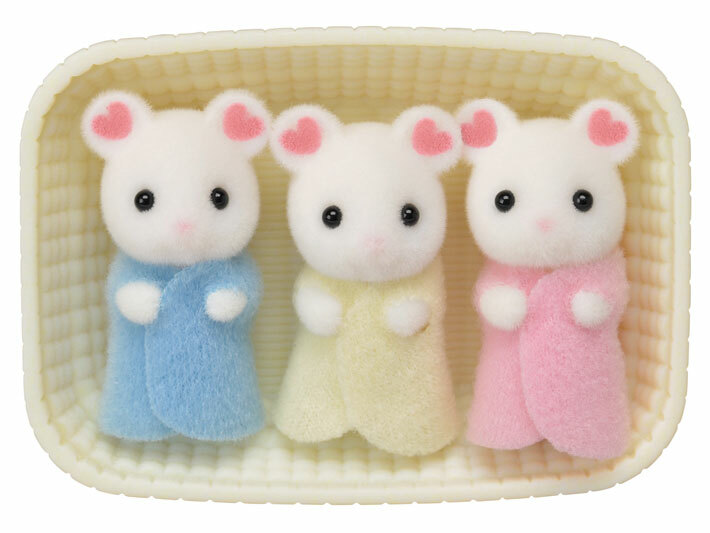 Marshmallow Mouse Triplets are characterised by flower petal patterns on their ears. 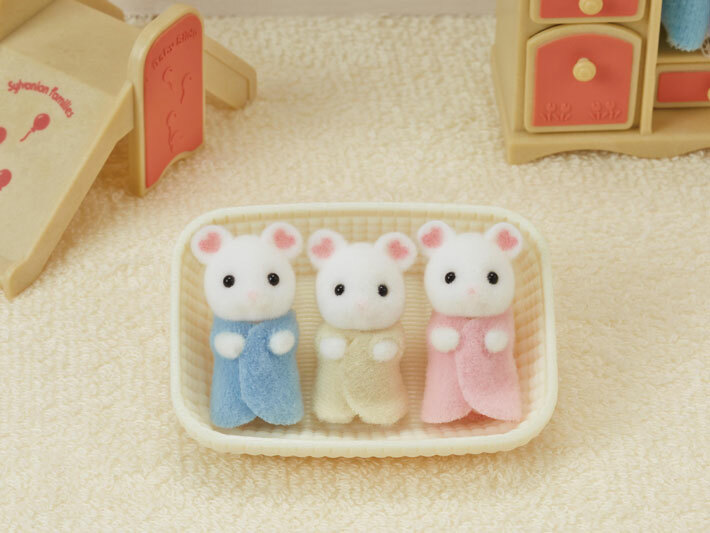 This is the first time cradled triplets have made an appearance in Sylvanian Families. 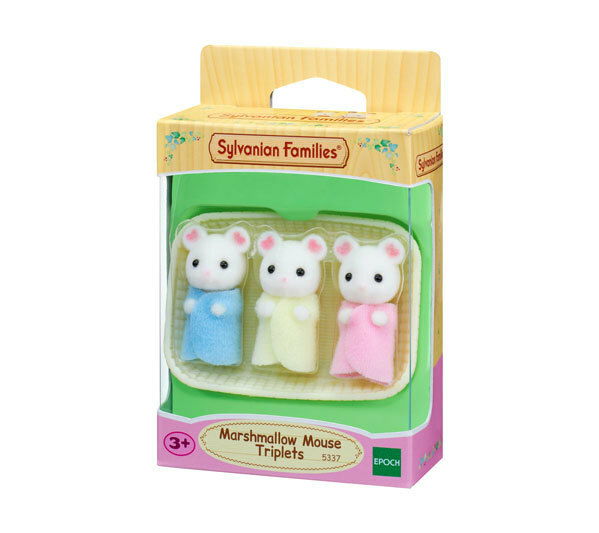 Have even more fun playing together with Marshmallow Mouse Family and Marshmallow Mouse Baby, and create a family of 8 (sold separately).